An updated version of Tekken 6. Bloodline Rebellion will feature two new characters - Lars Alexandersson and Alisa Bosconovitch. The update will also include an as yet unnamed new stage, new character customisation options and items, and will also feature game balance updates. Intro movie for Tekken 6: Bloodline Rebellion. The updated version of Tekken 6 features two new characters - Lars Alexandersson and Alisa Bosconovitch. The update also includes a new stage, new character customization options and items, and will also feature game balance updates. 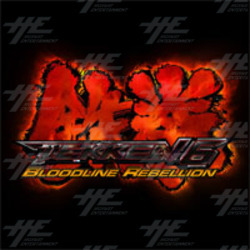 Gameplay trailer for Tekken 6: Bloodline Rebellion. The trailer showcases new characters Lars Alexandersson and Alisa Bosconovitch, as well as some of the new items available, new stages, and new character customisation options.